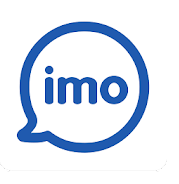 Message and video call your friends and family for free, no matter what device they are on with Imo. Free and unlimited messages and video and voice calls, Group video calls with friends, family and others and many other features are there in this app. Here they are back with Refer and Earn Program. 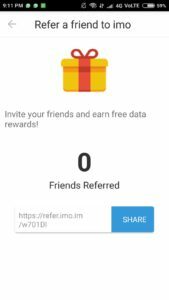 You can Earn Free Data Rewards by inviting your Friends on Imo Free Calls App. 6. Now Upload your profile picture or just skip that step. 7. You’re done now! Just move to dashboard and you can start making free video calls to your friends. 8. Now Click on MENU from bottom and click on Refer a Friend to Imo. 9. Share your Refer link on social networks or along with your friends. 10. 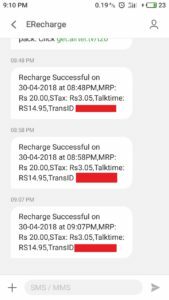 When your friend will install from your link and sign up on imo then you will get Rs.20 Mobile Recharge For Free.